Tulalip Tribes’ Construction Training Program graduates and instructors. As summer approaches, students everywhere are graduating from school, or moving up a grade. 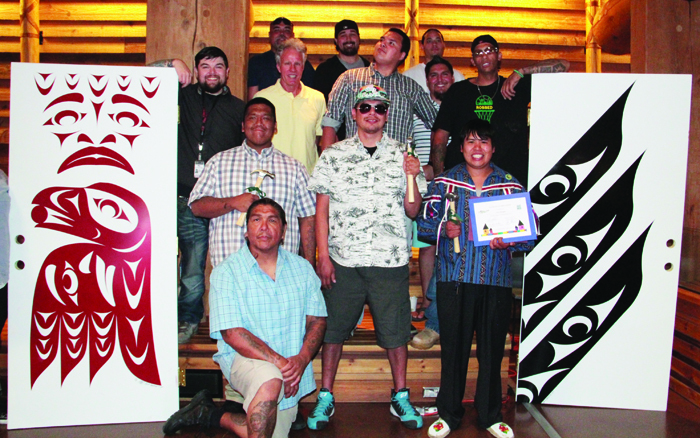 On June 15, thirteen students from the Tulalip Tribes’ Construction Training Program graduated a 10-week course. A graduation ceremony was held at the Hibulb Cultural Center to mark the event. The Tulalip Tribal Employment Rights Office partnered with Edmonds Community College to offer a trades program to students, providing curriculum that teaches a variety of construction trades and skills. This program gives students better opportunities for full-time employment and skills that will last a lifetime. Upon completion of the course students are certified in the basics of construction trade, awarded a flagging certification, First Aid/CPR, and an OSHA 10 Hour Safety Card. Under the supervision of instructors Mark Newland and William “Billy” Burchett students constructed two tiny houses for their final class project. These houses are approximately 120-square-feet and offer stability and a safer environment for residents of Nickelsville, a homeless encampment located in Seattle where the houses are being donated. The insulated houses will offer electricity and heat, along with a Native American touch. Tribal members James Madison and Ty Juvinel designed the doors of the houses. John Hord, Ojibwe tribal member and Nickelsville resident. Hord was pursuing his bachelor’s degree in psychology, human services and urban environmental issues and working in construction before being displaced from his home a few months ago. Hord plans on returning to school and combining his education and construction skills to mentor other Native Americans on his reservation, White Earth, in Minnesota. The TVTC graduates received a diploma and ceremonial hammer. Congratulations to Matt Charles, Stuart Charette, Arron Charley, William Duran, Philip Falcon, Corey Fryberg, Jess Fryberg, John Primeau, Abrahn Ramos, Maurice Riley, Cole Stanger, Darwin Weaselhead and Sky Weaselhead. 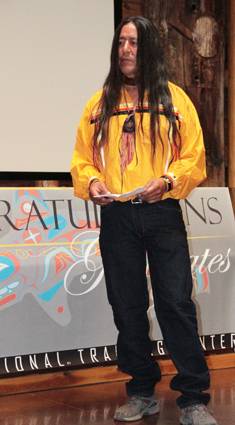 This entry was posted in Local News, News and tagged construction, Graduation, Native American, Nickelsville, students, TERO, Tiny Houses, Tulalip Tribes by Kim Kalliber. Bookmark the permalink.